If you have gone to the "On The Clock" report and tried to clock out an employee and you receive a message stating they cannot be clocked out, it is because they still have a registered assigned to them. You will need to go resolve this issue before they can be clocked out. 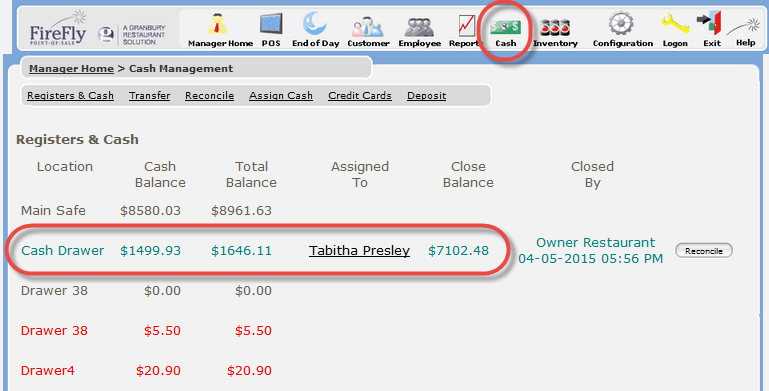 To do this navigate to Manager Home > Cash > Registers & Cash > Find the register that is assigned to the employee and click on their name. You will be asked if you want to unassign this register, click OK. The register will now be unassigned from the employee. You will now be able to go back to the On The Clock report and clock that employee out of the system. Tip: You do not have to reconcile the register at that this time but it is good practice to do so. 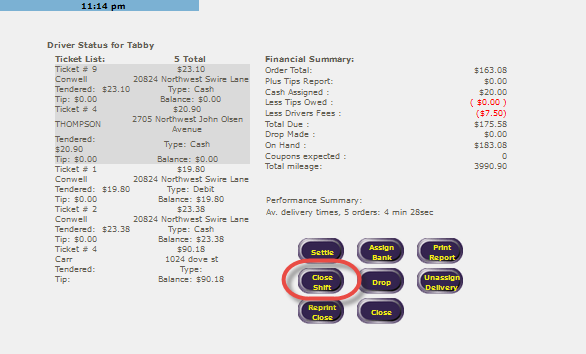 Settle any tickets that need to be settled, and close the shift by clicking "Close Shift." Once this is done return to the on the clock report and you should be able to clock out your driver. To read a more in-depth how-to on closing a driver's shift you can read the "How To Close A Driver's Shift" article. If you are still having troubles clocking out an employee after these troubleshooting steps give tech support a call and they can help you.